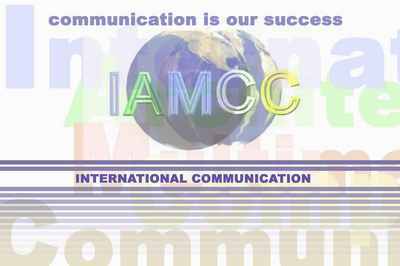 The IAMCC group is the leading centre in the area of Real & virtual communication. Real & virtual communication represent key-technologies for the development of information processing. In its function as a link between human and human,human and cities, human and machine, the IAMCC primarily focuses on technology transfer between universities, Research centres and companies to obtain advantages in international competition. -increasing the innovative potential of small and medium enterprises by using VR and Vis technologies. -assisting enterprises in the use of com, VR and Vis. between students at Vienna University of Technology and shahid Beheshti University in Iran in year 2001.
between students at Vienna University of Technology and Azad University Tehran in Iran in year 2002. Specific goals include fast and realistic rendering of plants and trees for outdoor visualization, rendering microscopy images with depth information, and efficient display of laser range data of entire cities. Goal: VR and Visualisation application aims on the automatic image based modelling of existing scenes and on the organisation, simulation and visualisation of this data. Photo realistic 3D City Model. Environmental flow simulation is the study of how fluid, such as water, air or snow move in and around solid objects such as buildings in the cities or in the mountain terrain areas. We extend the development of the AVL SWIFT computational fluid dynamics tools which is based on Navier-Stokes differential equation for environmental flow applications. Simulation of Wind Environment around High Rise Buildings: The effect of buildings on the air circulation in the cities have become particularly significant because of the increasing number of high-rise buildings. It can be difficult for engineers to predict precisely how wind will behave around a building in a windy area. With numerical simulation, designs can be replicated and studied under precise and varying wind conditions to give an accurate picture of how they will have be in reality. This project deals with the feature based modelling of objects from oriented image sequences. We use previously extracted 2D features to generate a 3D model.